Plus social media accounts to follow! 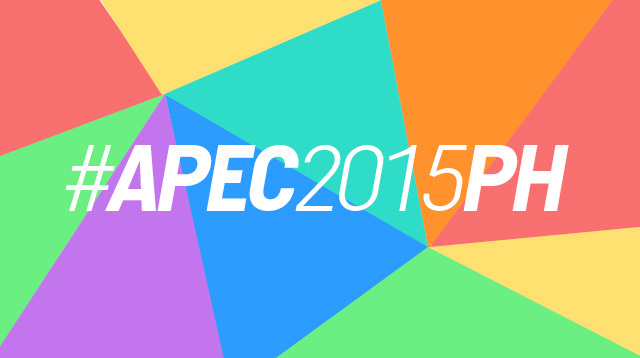 The APEC (or the Asia-Pacific Economic Corporation) has been getting loads of buzz recently. And why wouldn't it, when the Philippines is hosting the Economic Leaders' Week at the Philippine International Convention Center on November 18 and 19, causing closures to roads that many people take to go to work. And let's not forget the rage being expressed on social media because traffic has reached a standstill for hours and hours, and that under the heat of the sun THOUSANDS of people spent more than an hour walking four kilometers from Cavite to Paranaque; or eight kilometers from Cavitex toll gate until EDSA. If those aren't enough, people, as well as foreign media, have also brought up how the homeless are being rounded up and detained against their will. And as for those who know how much has been allotted for this event (FYI: It's P10 BILLION), they can't help asking where it's been spent on. So what's this APEC that all this chaos seems to be a price of? Is it worth it? Members of the APEC can volley for trade agreements and other measures to boost trade and investment and foster business opportunities. According to the APEC's statement, the attending world leaders can also discuss intellectual property protection, enhancing internet and digital network development, cyber security, and job creation. At this point it's much too early to say if the APEC CEO Summit will benefit the country to the point that all the hardships mentioned will be justified. After all, the success of the summit will depend on our leader's ability to push for what's best for the Philippines during the meeting. Suffice to say that the APEC means well.